Some say President Trump made an error in closing down the government—even a partial shutdown. They think reopening it for three weeks, temporarily, as he stated, means he capitulated to Nancy Pelosi. She certainly did. Are you on the fence? If it really matters, you may wish to explore other opinions to determine if this was a successful strategy by the “maestro” or a failed one. What I see is a cosmic chess game. I don’t play chess, but I’m sure even masters make bad moves occasionally. The consequences can be deadly. This is a sudden death chess game in some respects, with the fate of our planet hanging in the balance. Are you aware Trump was a master strategist at Military college? He’s also a master chess player and taught his son, Barron, to play. Is it an accident that Donald Trump is President of the United States at this point? You can decide all this for yourself. First, if you don’t mind reading, consider this analysis from SerialBrain2. 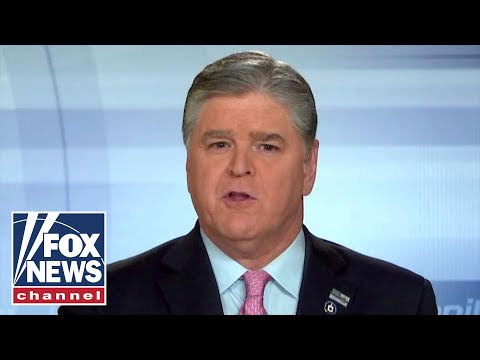 Sean Hannity mentioned caving around the 6:32 mark after illustrating that even other Democrats want the wall but won’t say so to Pelosi and Schumer, and that Democrats have historically and publicly said a barrier is mandatory for national security—until President Trump made it part of his campaign platform. Dave also addressed the President’s decision to reopen the government temporarily in his X22 Reports last night and the strategy he sees therein. If you missed it, here is a link to the petition to impeach Nancy Pelosi. We have until February 17 to get 100,000 signatures. This entry was posted in Uncategorized and tagged border wall, caved, Chuck Schumer, Democrats, Government shutdown, impeach, love, nancy pelosi, President Trump, reopened, Sean Hannity, security, SerialBrain2, Starship Earth, strategy. Bookmark the permalink.